As drug residues in food has became a major problem today, developing analytical methods of synthetic bacterial drugs including Sulfa drugs is important. 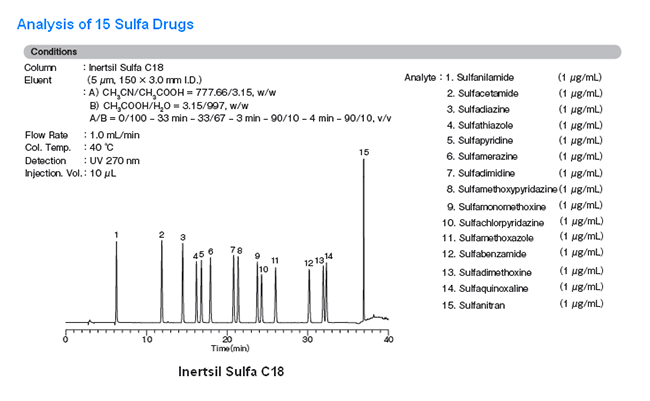 Inertsil Sulfa C18 is a superb ODS column designed for analysis of sulfa drugs. Each lot of Inertsil Sulfa C18 is tested for the effective separation of sulfa drugs and will be delivered to you with its annalistic data.